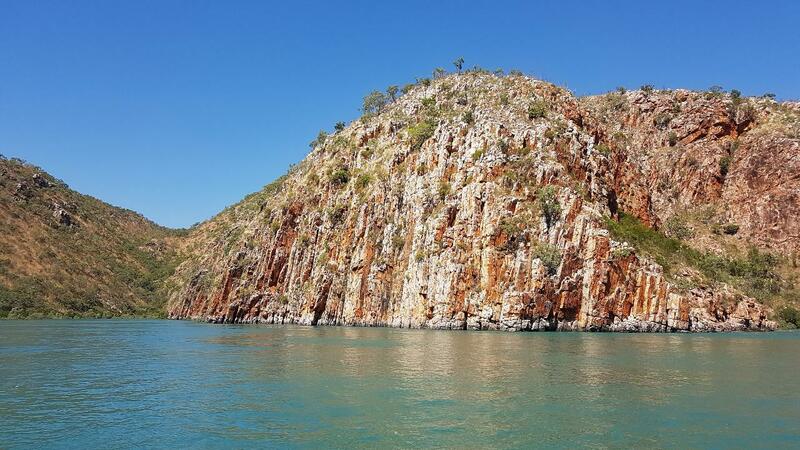 A Full Vessel 7 day cruise of the Kimberley wilderness in the north of Western Australia. Discover one of the most rugged and remote landscapes Australia has to offer. Swim in fresh water gorges and relax on lush white sandy beaches, catch a barra, see a crocodile, explore ancient Aboriginal artwork and have an adventure of a lifetime! Included is a scenic flight to Cygnet Bay, a Pearl Farm Tour, 7 nights aboard MV Melantre in twin share cabins with a maximum of 8 guests, all meals, accommodation, all shore excursions and fishing equipment. With 8 guests this option is more economical and by chartering the full vessel you have more flexibility to personalize your cruise. Like a particular spot then stay a while! Our 7 day cruises are a complete holiday experience. Relax and enjoy the remote landscape on a once in a lifetime adventure charter.